You don't need to squint too hard to see the similarities between the new Samsung Galaxy S6 and Apple's iPhone 6. The curved aluminum edges, the placement of the volume and on/off buttons, the bumped-out rear camera and pretty much everything else about the Galaxy S6 is the same as the iPhone 6 -- right down to the fingerprint-sensor home button. If imitation is the highest form of flattery, Apple's design team should be blushing right now. Samsung's oft-criticized design got a nearly complete reboot for the Galaxy S6. The new Galaxy is a beautiful phone that feels great in your hand. It is made of high-end Gorilla glass (no more plastic!) and metal (no more plastic painted to look like metal!). Gone are Galaxy trademarks, such as additional storage, a removable battery and waterproofing, but those are compromises worth making. Though it's undeniably better than previous Galaxy S phones, there's nothing terribly original about the S6's design either. All smartphones kind of look like one another these days, but it's as if Samsung's team purposefully designed the Galaxy S6 to be an iPhone for people who hate Apple (AAPL). That's because when you turn on the Galaxy S6, you discover that the similarities to the iPhone are almost purely superficial. 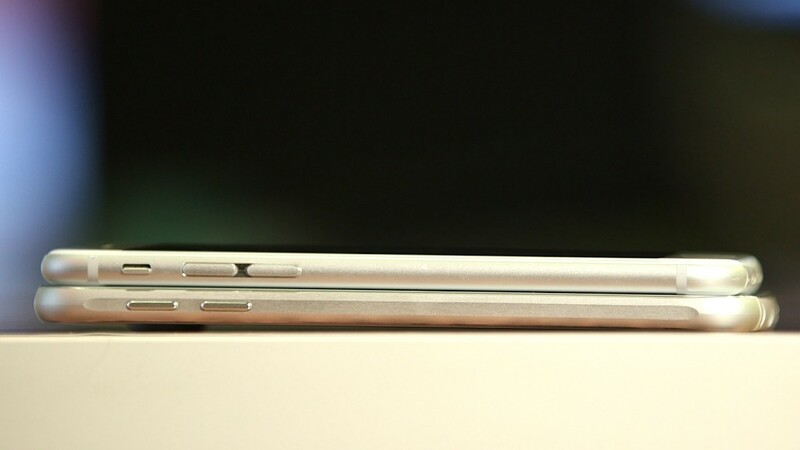 Inside, the new smartphone is pure Samsung. That means crazy features upon wacky tools upon whiz-bang tricks -- some of which are unbelievably stunning, and others that just get in the way. While most phones feel like they pause to think for a split second every so often before executing your commands, the Galaxy S6 is so fast that feels like it's anticipating your taps and swipes before you make them. It's like an extension of your fingers. Display. The screen is also jaw-dropping. It's bright, the colors are brilliant, the viewing angles are tremendous. It feels like a 4K ultra-high-definition TV in your hands -- because it kind of is. Its resolution is four-times more pixel-dense than standard HD displays. Camera. The cameras are awesome. The Galaxy S6's 16-megapixel rear camera is among the best on any smartphone, and the 5-megapixel front camera might be the best selfie camera on the market. The camera's shutter speed is super-fast, which means you can take rapid-fire photos without any noticeable lag. Also increasing the speed of phototaking on the Galaxy S6 is a new feature that lets you double-click the home button to launch the camera in a pinch -- even when the phone is locked or the screen is turned off. When taking a selfie, you can tap a sensor on the back of the camera, which lets you hold the camera in a more stable position. The phone's thinness means the camera bumps out a bit -- more noticeably than on the iPhone 6. But unlike the iPhone's off-to-the-side camera, which causes Apple's smartphone to shake a bit when it's resting on the table, Samsung positioned its camera in the center, giving it a bit more stability when lying on its back. The turbo charger is exceedingly fast -- plugging your Galaxy S6 in for 10 minutes gives you four hours of battery life. 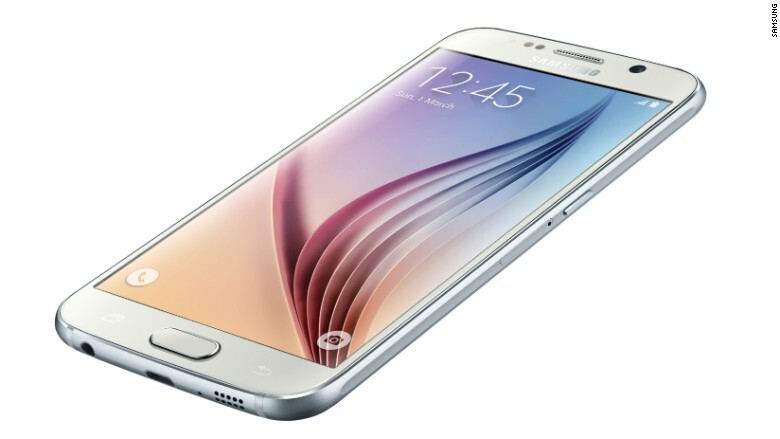 You'll also get a minimum of 32 GB of storage on the Galaxy S6, which is double that of most smartphones. And you'll get wireless charging and an IR blaster, for those of who hate plugging in their phone and like using it as a universal remote. Software. Being "pure Samsung" is not always a good thing. Samsung's notoriously horrible software got an upgrade for the Galaxy S6 -- namely that there's less of it. Samsung claims that it cut down on its add-on software by 40% for the Galaxy S6, and the phone does let Google's excellent Android Lollipop software shine a bit more than previous Galaxies. Yet the Galaxy S6's "TouchWiz" interface is still a mess of confusing, unnecessary features and app add-ons. The cartoonish icons and menus from Galaxies past remain, and they still look like they were designed in the flip-phone era. And there's still the un-eraseable bloatware, including Samsung's Milk music apps and and handful of Microsoft (MSFT) apps. Should you buy it? If you're not an iPhone person but want the quality and attention to detail that Apple gives its smartphones, then the Galaxy S6 is worth consideration. Its ridiculous add-on software really gets in the way at times, which is a shame because Samsung doesn't need crazy software features for its phone to stand out in a crowd.